I tried what it said and First Aid only lets me scan my macOS partition in Recovery Mode. Using diskutil gives me Error starting file system repair for disk0: Invalid request (-69886). Is there any way to fix this? I'm trying to add a FAT32 partition to my disk. This is on macOS 10.13.3. This resulted in the persistence of the error. But then I booted in recovery mode (reboot and hold cmd+R) and started the disk utility there. To my surprise the Disk Utility showed me different values for the free space of my partition. I only had 20g free instead of the 50g I tried to allocate each time. When I did the normal partition steps in the recovery boot Disk Utility everything went fine and I am currently running Ubuntu 18.04.1 alongside Mojave 10.14.1 without problems, be it that I only have 20g. I experienced the same error code, 49187. Below is some background context from my situation and my resolution at the end. 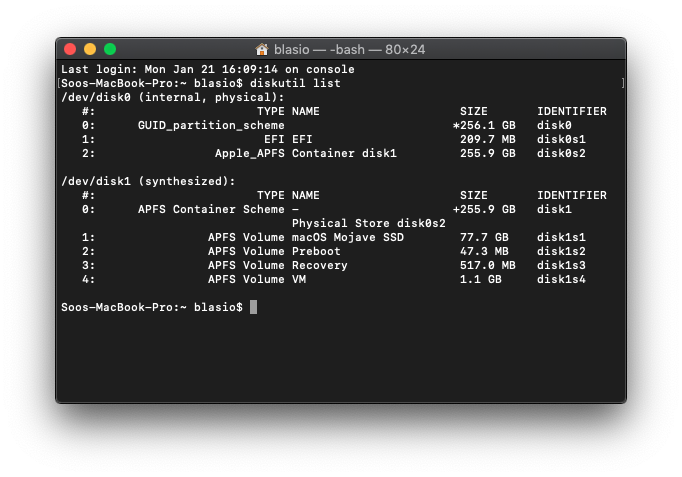 I had re-imaged a MacBook Air as a dev machine and forgot that I wanted to partition the drive. I, too, ensured file encryption and Time Machine were not active (and used tmutil to thin snapshots) but still experienced the same partition error as the OP. I then took the scorched earth approach; I was going to re-format entirely. I first ensured I had a Mojave installer on a USB thumb drive (using DiskMaker X) then rebooted into recovery mode (Cmd-R). There, I started Disk Utility to erase and partition. In fact, it failed there as well. After it failed, it showed used file space of roughly 1gig and 75gig of 'other' (which is actually the size of the partition I attempted to add). The resolution, fortunately, was at hand. I was able to Unmount the APFS drive and actually erase/re-format it with APFS and then create the additional partition. I am not exactly sure why this worked. When I looked at my drive initially in Disk Utility, it said that it was shared by 4 volumes although I hadn't partitioned anything myself. Once I unmounted and erased the entire drive in Recovery Mode, it showed as One Volume. I wonder if any recovery volume(s) added during High Sierra or Mojave's install prevented APFS partitioning to take effect. Not the answer you're looking for? 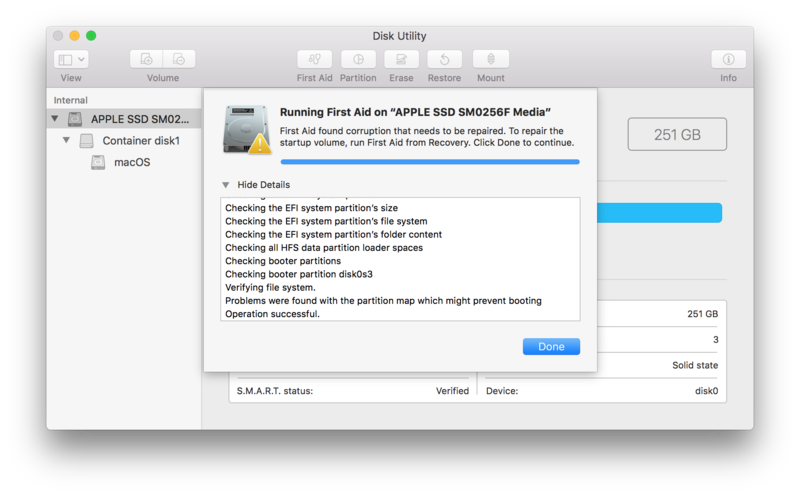 Browse other questions tagged hard-drive disk-utility partition high-sierra apfs .